This easy spring and summer necklace is chunky and chic, weighty and fresh. 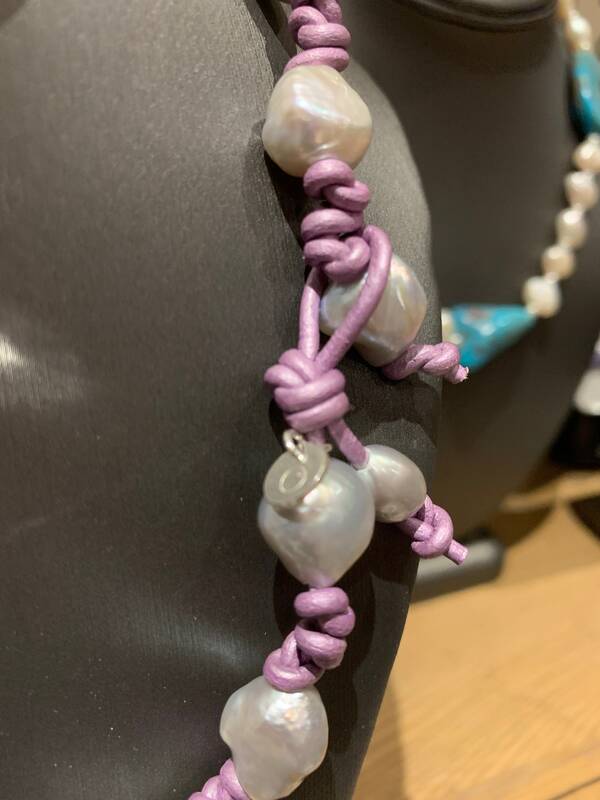 The silver grey baroque pearls are approximately 13x14mm, and the metallic lavender leather has been knotted in between. 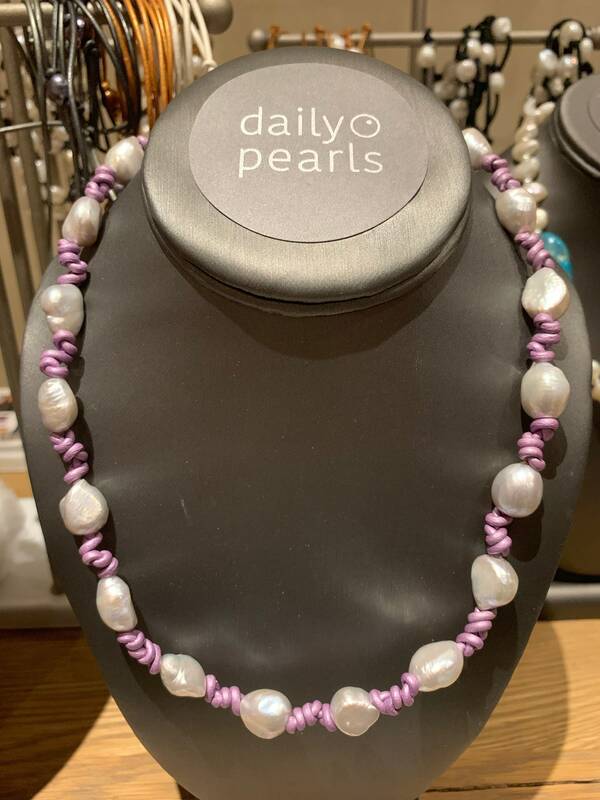 The image above shows the clasp, which is a loop over the last pearl. 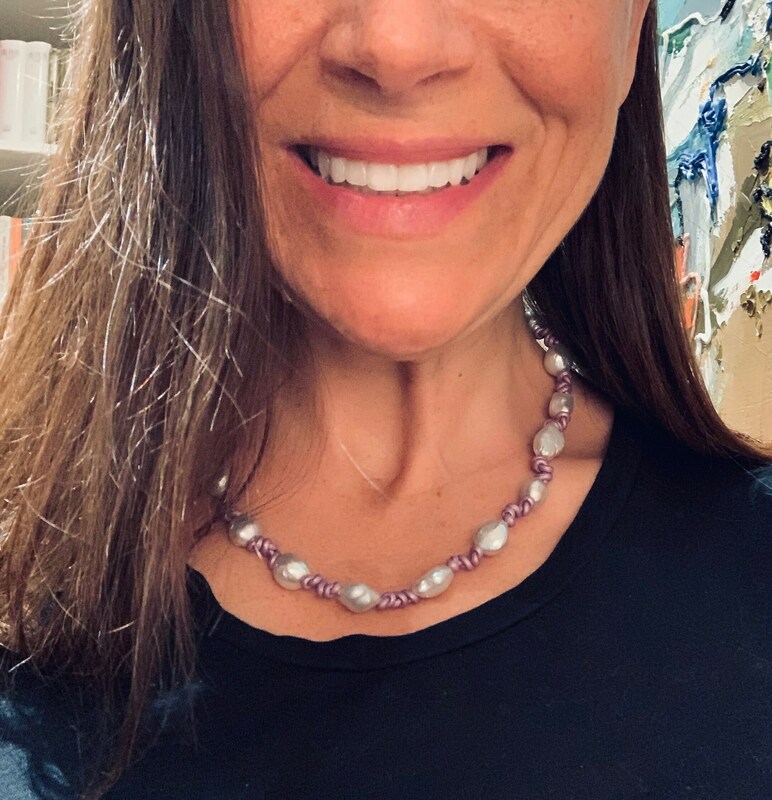 The necklace features a sterling Daily Pearls logo. If requested, the necklace will be sent with a pink gift bag and tissue paper.